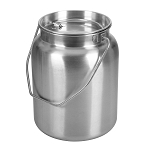 3.6 quart Onyx Stainless Steel caniste. 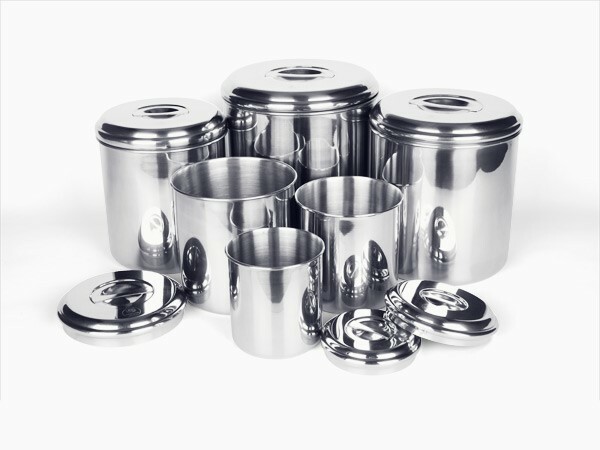 Manufactured in Korea out of 18/10 Onyx Stainless Steel. 3.6 qt. 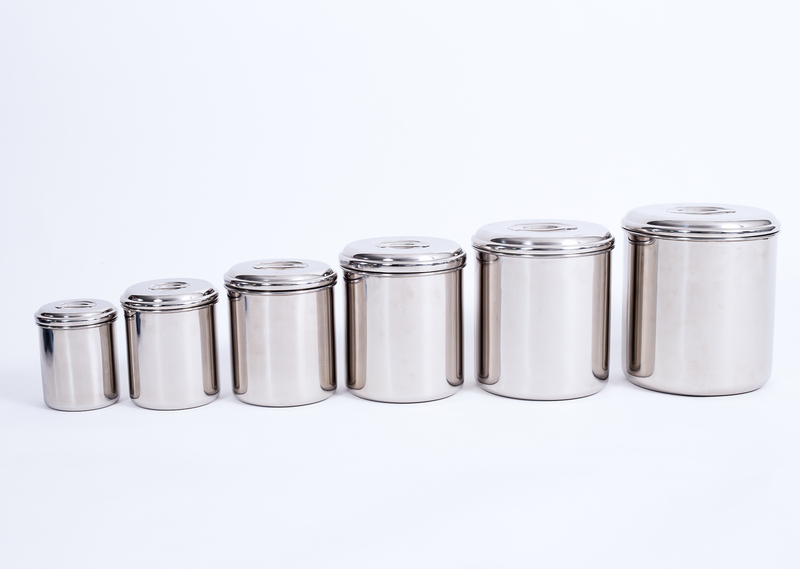 Diameter: 16 cm / 6.25" Height: 16.5 cm / 6.5" Capacity: 3.4 L / 14.375 cups. 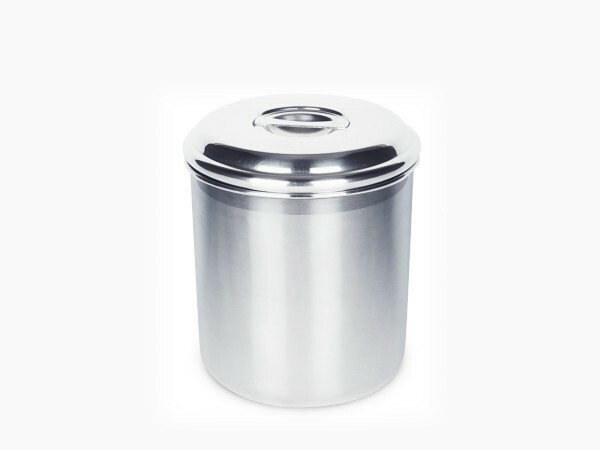 As with the 4.9qt canister, I love that these are stainless steel; however, just like with the larger canister, the lid does not fit snugly. Wish they would come with an eco safe seal of some sort (i.e. silicone).